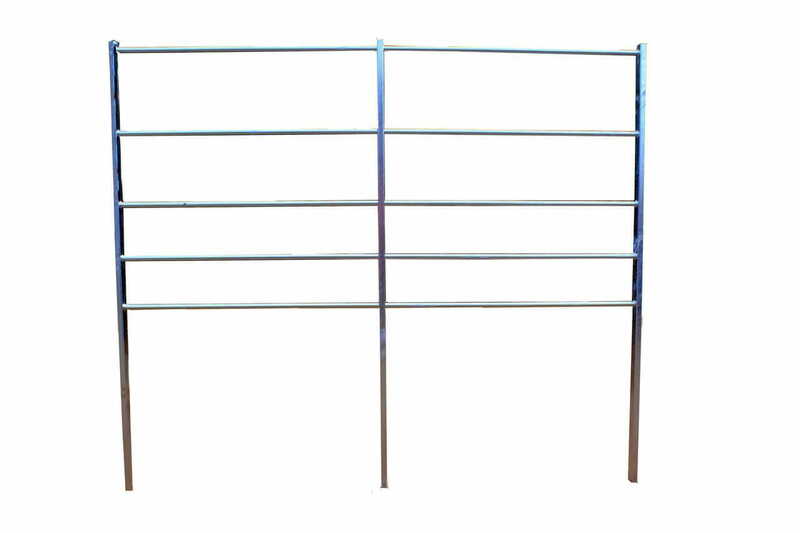 3.0m Wide x 1.215m High Metal Estate Gate (Tubular) including Posts and Fittings. 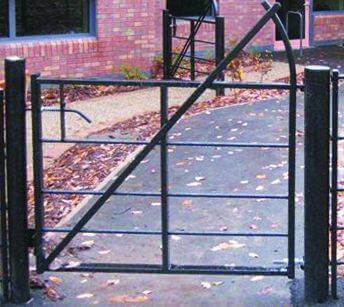 The Estate Gate is galvanised as standard but powder coating is available on request. 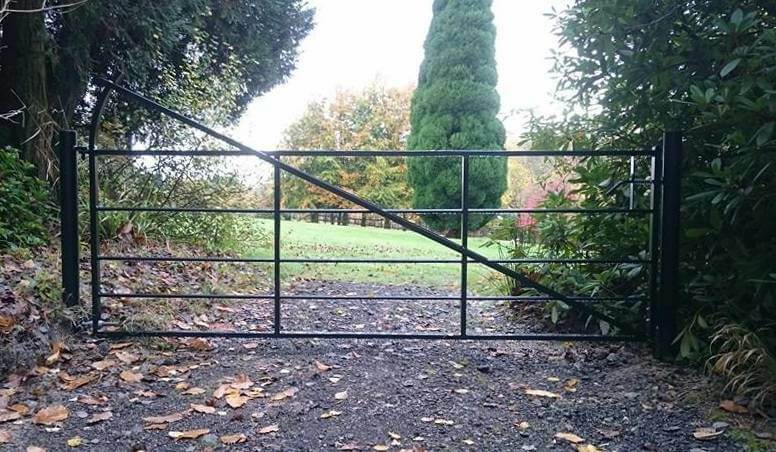 The Gate is manufactured from the same high quality materials and with all the same benefits as the Estate Railings, this elegant Estate gates is ideal for use with the Estate Railings or in the place of any metal field gate. 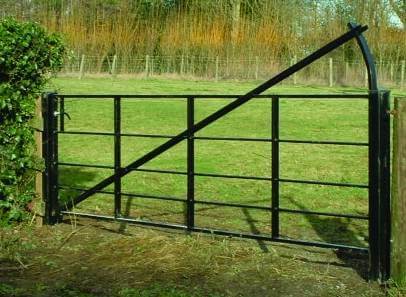 The graceful crook with the diagonal strengthening brace adds an attractive feature to the gate.